RED Lace Circular Needles are made from high quality stainless steel and feature a flexible, memory-free, nylon-coated steel cable with superior joins. Yarn easily glides from end to end with no snagging! The tips are pointier than the standard RED circulars, and there is no bend in the needle. 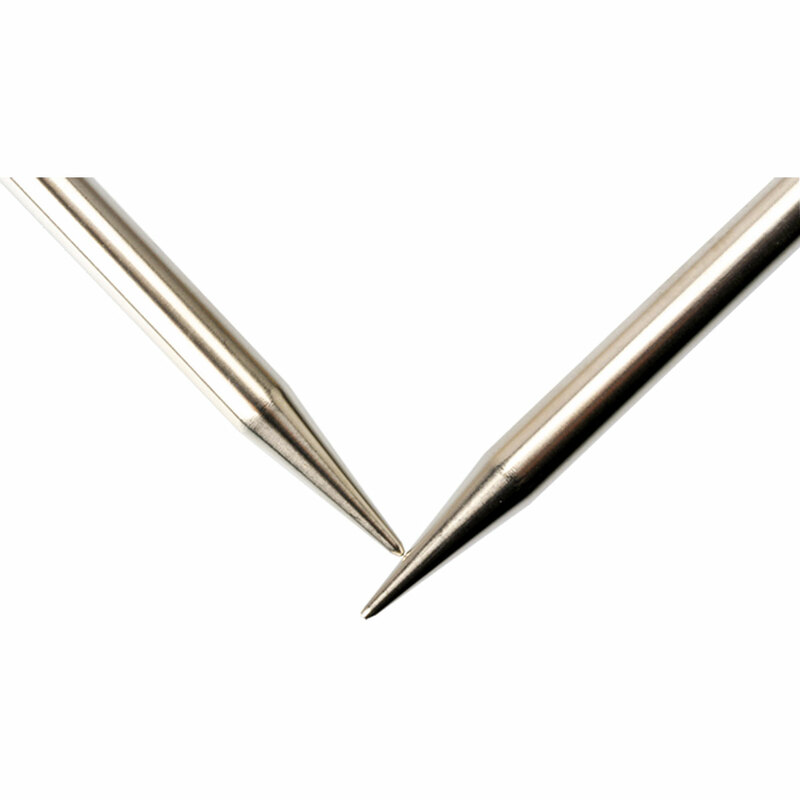 Each size is conveniently laser imprinted on the needle in both the US and metric size. 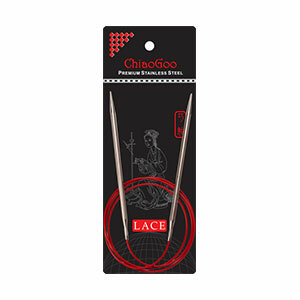 Please note: ChiaoGoo US 17(12.75mm) needles do not follow standard US sizing. They are truly 12.75mm rather than the standard 12.00mm for a US size 17. Knitter's Pride Zing Fixed Circular Needles and Jimmy Beans Wool Jimmy's SmartStix 40 Inch Circular Needles are both similar needles: 40" (100cm), circular, and US 2 (2.75mm) US size. You may enjoy taking a look at the Malabrigo Rasta Gowanus Pullover, Malabrigo Lace Baby Merino Ios Beanie, Malabrigo Caracol Hudson Long Cardigan, and Knit Collage Daisy Chain or Swirl Ribby Slouch Beanie kits all using ChiaoGoo RED Lace Circular Needles.